Get ready to Rock – with combo ticket deals and PRESTO Perks! 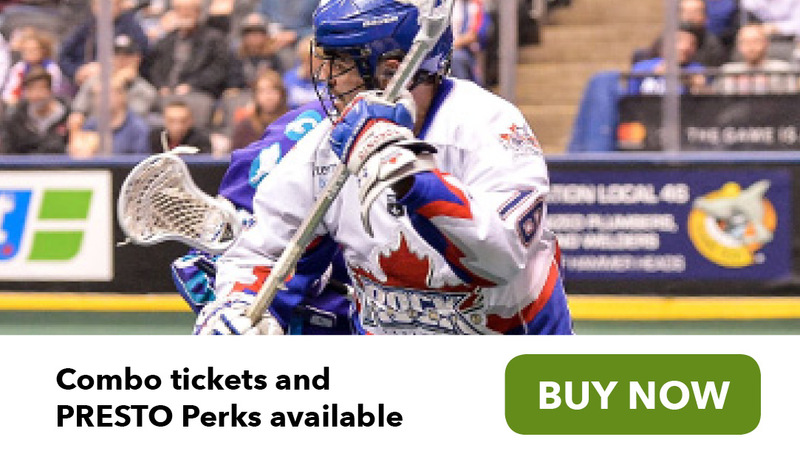 The Toronto Rock is on the hunt for their 7th National Lacrosse League championship! To make sure you don’t miss out, The Rock and GO Transit have teamed up to provide great combo packages on tickets and travel, plus PRESTO Perks discounts of up to 22%! Catch all the action at Scotiabank Arena. Buy your tickets at Ticketmaster, and plan your trip with GO here.